Why Christians should Stand with Israel? Today many believers in Yeshua (Jesus) in the world not only don’t understand why they should stand with and support Israel, but openly take a stand against her. Is this little country perfect…? Of course not! But perfection was never a pre-requisite for God’s love. Quite the contrary! The Word of God commands us to; "pray for the peace of Jerusalem." (Psalm 122) Jerusalem is not an imaginary place. It is the Capital of Israel… both the ancient country and in our life time the modern State. 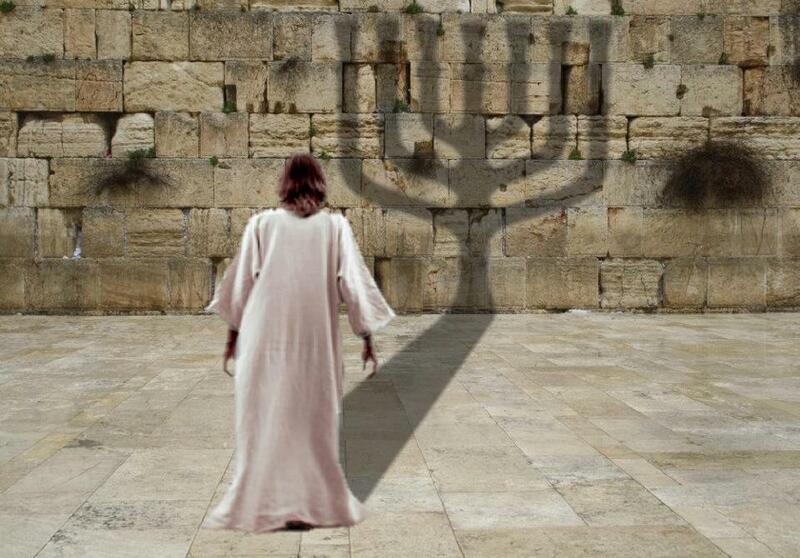 It is referred to as the "city of the Great King," Psalm 48:2, Matthew 5:35 …and it is where Yeshua our Messiah is returning to reign. The first reason to stand with Israel, therefore, is because the Lord commands us to do it! The second reason to stand with and love the Jewish people is because God loves them and gave salvation to everyone through them. Not only did salvation come via the Jewish people through their rejection of the Messiah, but the writer of the book of Romans says, "…what will their acceptance be but life from the dead?" (Romans 11:15) The Jewish leaders rejected the Messiah when He came to give His life for our sins. Multitudes of Jews followed Him and believed in Him …but the authorities, in their corruption, did not understand what was happening. Yet the promise of the Scripture is that "All Israel will be saved," (Romans 11:26). This national salvation will be a turning point for the entire world in a capacity never seen before, as Israel’s appointed destiny is to be a light and blessing to the world. Reason number three to stand with Israel is because the future of the world depends on it. For us, for our families, for our friends, for our nations – Israel’s salvation is the key, and the Gentiles have an instrumental role in that salvation. Ask anyone this question… "Who wants to be blessed?" Naturally, everyone will raise their hands. But now ask… "Who wants to be cursed?" No hands will go up. The Lord’s promise to Abraham, "I will bless those who bless you (the great nation God will make out of Abraham), and curse those who curse you." (Genesis 12:3) Israel is that nation of the promise. It has always been, it is now, and it will always remain so. Our choice to either bless or curse Israel and the God of Israel determines our fate, as individual and as nation… "The LORD said to Abram, "Leave your country, your relatives, and your father’s home, and go to a land that I am going to show you. I will give you many descendants, and they will become a great nation. I will bless you and make your name famous, so that you will be a blessing. I will bless those who bless you, but I will curse those who curse you. And through you I will bless all the nations," Genesis 12: 1 - 3. Why did God choose the Land of Israel or Canaan as it was called at that time? Why couldn’t Abram have just worshipped God in his homeland? God called Abram and promised to bless the world through him, and in order to do that effectively God had to move Abram to the crossroads of the ancient world. It was God’s intention that the polytheistic world would come to know Him, the Almighty Creator, the only true God. So, He took a man of faith, who was willing to obey, even when he didn’t understand, and He put him right in the middle of the ancient world. The Land of Israel is not very big. It only takes about seven hours to drive from the farthest point in the north to Eilat, the southernmost city on the Red Sea. From east to west, it only takes about two hours at its widest point. But, this little sliver of land was the land bridge between the continents of the ancient world. In fact, antique maps often show Jerusalem and Israel as the centre of the world. To bless or to curse is a personal choice… that yields profound life changing consequences, restoration or destruction. The first prophecy in scripture which implied a direct relationship between restoration and/or destruction of nations and individuals based on the choice to either bless or curse is recorded in Genesis 9:25-28. Shem by his actions was blessed; "Blessed be the Lord, the God of Shem." Whereas Ham, the father of Canaan, by his actions was cursed, "Cursed be Canaan; a slave of slaves shall he be to his brothers." The Stone Edition of the Tanach commented, these verses are the most far-reaching prophecy ever uttered, for in it Noah encapsulated the entire course of human history (Scherman, 1996, p. 20). In other words, the course and destiny of human history is intertwined with its decision to bless or to curse! What does it mean to bless or to curse? Is the relationship of restoration or destruction observable in the lives of others based on their choice to bless or to curse the God of Shem? What does it mean “to bless?” Approximately 4,000 years ago God made a promise to Abraham, a descendant of Shem (Genesis 11:10-26). Abraham means; ‘Father of a Multitude,’ and God made Abraham to be the father of a multitude of nations. God promised Abraham a land, a seed, a nation, blessings, and divine protection. God said, “I will bless those who bless you and curse him who curses you,” Genesis 12:3. The Hebrew word to bless is “barekh,” which comes from the root word “barakh” and denotes spiritual and physical enrichment, abundant in quality and/or quantity because of the posture of the heart. “Barakh” literally means; “to kneel,” giving honour, preference, deference and service to another. The God of Shem will personally bless and restore those individuals and/or nations with fruitfulness and prosperity, spiritually and physically, who give honour and preference to Israel, the descendants of Abraham, by offering her a helping hand because they have conditioned their heart towards Israel’s God. What it means to “Curse?” The Hebrew word for curse is “arar;” it means; to bind with a spell, to hem in with obstacles, to render powerless to resist. The word used to curse thee is “qalal;” it means to be small, to be lessened, to be insignificant, of small worth, execrate, and to bring a curse upon oneself. When these thoughts are united together it paints a disturbing picture. Those who “curse you” connote one who would… impose a barrier, belittle, hate and call down judgment on Abraham and his descendants. The verse could be translated, “The one who treats you lightly, stops you from fulfilling your calling, belittles you. The words, ‘I must curse’, denotes spiritual and physical misfortunes which gives way to utter misery and despair, for God Himself is doing the judging and pronouncing the curse upon the individual and/or nation. In summary, the one who curses Israel and her God binds them-selves in a spell that renders them powerless to resist their own destruction. To “Bless” or “Curse” reveals the soul…! Why are some individuals blessed and others cursed when it comes to the subject of Israel and her God? It appears that through the course of history God has used Israel as a point of division in the souls of men in order to test and expose the inner thoughts of their heart. God’s sifting process divulges a person’s position in life; it ultimately reveals if they stand for God or against Him, thus it forges one’s fate and destiny. In Exodus 22:21 and 23:9 God instructed Israel not to mistreat or oppress the alien. Instead, the Israelites were to extend compassion, protection, civil rights, justice and even love the alien in their midst. However, the law also explicitly stated; “whoever sacrifices to any god other than the Lord must be destroyed,” Exodus 22:20. The Law pre-supposed that the alien first submits to the God of Israel and the covering of His people, which then gave way to divine protection and blessings realized in their life. To gain a better understanding of this concept examine the outcome of two foreigners mentioned in scripture; Rahab the Canaanite (Joshua 2, 6), and Sennacherib, the king of Assyria, (Isaiah 36-37). “… but, he who is kind to the needy honours God!” Proverbs 14:31. The relationship of restoration and blessing is an observable event in scripture as seen in the life of Rahab, the prostitute... It was unnatural for Rahab but she conditioned her heart by kneeling to Israel’s God. In doing so she honoured Israel’s spies, she gave them preference over the demand from the king of Jericho, and her actions saved the lives of the spies. Her helping hand blessed Israel, and in turn she was blessed and honoured by the God of Israel. The relationship of destruction and despair is also observable in the life of Sennacherib, the king of Assyria… Instead of kneeling to Israel’s God, he blasphemed by belittling and besmirching, for he attempted to make His Name and His Word insignificant among the gods of the surrounding nations. Sennacherib actions unwittingly bound him in a spell of his own making that cursed him, for he tried to stop God’s divine plans and purpose for Israel by establishing his own objectives. In the end, he was rendered powerless to resist the fate of God’s judgment concerning his life, and was murdered by his own sons. Today individuals and nations are faced with the same choice. The course of human history is intertwined with the decision to either bless or curse. Ultimately, our choice uncovers the inner thoughts of our heart with respect to Israel’s God; thereby we select our fate, restoration or destruction. All Christians rest upon the faithfulness of God. Our unchangeable God who never falters, never fails in His promise is the very foundation of our faith and the ground of our security. That is what gives stability and strength to our faith… we can count on it! We have the same God that Abraham, Isaac and Jacob had, that David prayed to and wrote his Psalms in praise of …all this constitutes for us the bedrock of security that we rest upon it in every single day. Many Christians across around the world today are saying; "We can believe in the faithfulness of God for ourselves, but we doubt it when it comes to the Nation of Israel!" Some raise the question… "What part does that strange people called in the Scriptures itself… ‘God’s chosen people,’ play in the future?" And, many have written the nation off as not having a part in the program of God! "So, says Jehovah, who gives the sun for a light by day and the laws of the moon and of the stars for a light by night, who divides the sea when its waves roar; Jehovah of Hosts is His name; if those ordinances depart from Me, says Jehovah, the seed of Israel also shall cease from being a nation before Me forever. So, says Jehovah, If the heavens above can be measured, and the foundations of the earth below can be searched out, I will also cast off all the seed of Israel for all that they have done, says Jehovah, Jeremiah 35-37. Now, that’s a most remarkable promise. God has bound himself, by the faithfulness of his Being and of his Word, that Israel shall have a place in his program as long as the heavens and the earth remain. God will NEVER cast them off as long as the sun and the moon maintain themselves in their courses and as long as the scope of the heavens remains to be measured and the interior of the earth remain unexplored. Just before he died Dr. Francis Schaeffer, one of the major prophets of our day, was asked what he believed about the promises of God to Israel, and this is his reply. He said; "I believe that if God can revoke his promises to the nation of Israel then I have no assurance of my own personal salvation." We are so grateful for you and believe whole heartedly that God has joined us together to fulfill His purposes for Israel and to be a voice to the church. God is the one who is hand-picking the Pray4Zion team and we value you as a partner and gift from God. We don’t believe any people group have been more mistreated and more wrongly treated than the Jewish people in history, by Christians mostly… not entirely but mostly. Who can show them greater compassion, than us Christians? Who has been entrusted the Ministry of Reconciliation? We the church is able to show the greatest love in the very place where Israel has been wounded. We are the generation and we have an assignment! Truly the Lord is opening up the doors for greater unity between Jew and Christian, more than ever before. God is raising up a prophetic righteous remnant, that are called, the church, back to their Jewish roots, back to become a prophetic call to the Nation of Israel and to provoke the Jewish people to jealousy. And, to say to the church… you have Messianic Jewish Brethren and roots to connect with. There are blessings attached when we stand with and pray for Israel’s safety… “Pray for the peace of Jerusalem; those who love you shall prosper,” Psalm 122:6. A quick summary to this; Prosperity: (Genesis 12:3 and Psalm 122:6); Divine healing: (Luke 7:1 – 5); Salvation and Outpouring of the Holy Spirit: (Acts 10) came first to the Gentiles who blessed the Jewish people and the nation of Israel in a particular way. Paul expands on this in Romans 15:27; God blesses the Gentiles through the Jews: (Genesis 30:27); Egypt BLESSED because of Joseph: (Genesis 39:5 and 41: 38 – 40) Egypt CURSED because of the forgetting of Joseph: Exodus 1:8. The principle that Gentiles are blessed through the Jewish nation is verified in the New Testament… Our Lord Yeshua the Messiah (Jesus Christ) of Nazareth a Rabbi was… “A light to bring revelation to the Gentiles” (Luke 2: 32); Salvation is of the Jews. When the Samaritan woman (a Gentile) went to the well to get water, Yeshua (Jesus) said to her, “you (Gentiles) worship what you do not know; we (the Jews) know what we worship, for Salvation is of the Jews” (John 4: 22). (2) When Agabus prophesied that the famine was coming upon the whole earth, the way that they responded to that, was that they didn’t hoard, they took up and offering! And, we believe that they took up an offering for a very specific people group because that is important. 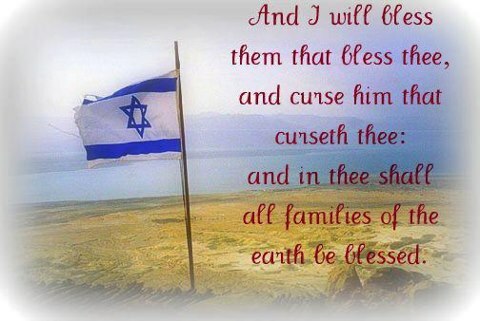 That those who bless Israel will be blessed! Amazing way to respond, especially when the prophecy specifically stated that the ‘famine will come upon the whole earth’ – they took up an offering for the brethren in Judea. They knew something that we are only just learning about. (3) They didn’t hesitate or say “we will pray about it.” They acted immediately (even though the famine had not yet arrived) because they knew that this was a responsibility. We see in the Book of Acts that the Jewish believers were required to be different. And, we the church of Jesus Christ are required to be unique and different. 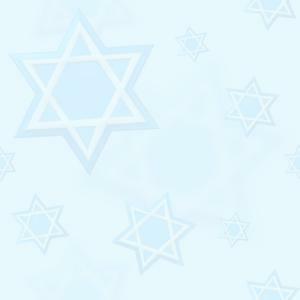 Let us never forget our Jewish brethren and our roots, and in doing do, we will never loose our identity. (4) They took care of the needs of the Jewish believers through Barnabus and Saul (Paul) personally delivering the collection. They put their faith into action! Another Scripture that we can learn this principle from… “Right now, however, I’m going to Jerusalem to minister to the saints; for the believers in Macedonia and Achaia have been eager to share their resources for the poor among the saints in Jerusalem. Yes, they were eager to do this, and in fact they are obligated to help them, for if the gentiles have shared in their spiritual blessings, they are obligated to be of service to them in material things,” Romans 15: 25 – 27. Other Scriptures that we can learn this principle from… 1 Corinthians 16: 1 – 3; Galatia sends finances to help Jerusalem. 2 Corinthians 8: 1 – 7; Macedonia sends finances to help Judea. 2 Corinthians 9: 1 – 15; Antioch sends finances to help Jerusalem. What "Spiritual things" have the Gentiles received from the Jews…? As Gentiles… We receive the unsearchable richest of the Gospel of Jesus Christ… We receive the riches of the blessings of Abraham which know no measure and have no limit… We receive the riches of faith by which the treasures of heaven are made possible to each of us…. We receive the riches of repentance through which each of us becomes a child of God… We receive the riches of His love, joy and eternal peace in the Holy Spirit... We receive the riches of salvation by grace through faith… We receive the riches of adoption and the riches of being heirs and joint-heirs with Jesus Christ… We have received the Word of God from the Jewish people… We have received the patriarchs and the prophets… We received a monotheistic theology; that is, one God …the God of Abraham, Isaac and Jacob. If an anti-Semite decided to boycott all the tests and cures discovered by the Jews, he would certainly open himself to a host of serious diseases… Besides receiving Jonas Salk’s polio vaccine, he would also decline the polio pill by Dr. Albert Sabin; the test to fight diphtheria invested by Bela Schick; the diet regime of Joseph Goldberger which has fought pellagra to a standstill; blood transfusion made possible by work of Dr. E.J. Cohen of Harvard… the Wasserman test for Syphilis; the vaccine for Hepatitis discovered by Baruch Blumberg; antibiotic "Streptomycin" discovered by Dr. Selman Abraham Waxman; Chloralhydrate for convulsions discovered by Dr. J. Von Liebig and vitamins discovered by Casimir Funk. And we are reminded that… the cell phone was developed in Israel. Most of the Windows NT operating system was developed in Israel. The Pentium MMX chip technology was designed in Israel. Voice Mail technology was developed in Israel. The first PC anti-virus software was developed in Israel in 1979. Our indebtedness to the Jewish people is but one reason we must support the State of Israel. BUT, the most important reason of all is the fact that supporting Israel HONOURS GOD and brings the blessings. When we want to receive mercy, we need to sow mercy every opportunity that we get! Ever wonder why the Lord sent Peter to the Jews and Paul to the Gentiles? And, doesn’t it look like God got that mixed up? Messed up a little? Paul could identify with the Jews a lot better than Peter could. Peter was on the offence to the ones that he was sent to. We sincerely believe that one of the reasons was that like Peter people want to minister to those that they feel comfortable with… who are like them - so that they don’t have to get out of their comfort zones. God wants us to be totally dependent upon Him and get out of the boat and walk on the water! Israel needs Christian support! Pray4Zion is very thankful… for over 10 years we had and still have an opportunity to assist Israel in a small but significant way. May each small beginning grow into bigger opportunities to strengthen the Jewish people! We encourage people who want to support Israel become a part of Pray4Zion’s vision to sow a seed into very fertile ground. As we STAND together by being the difference and showing solidarity to God’s chosen nation Israel …and His Covenant people through touching lives with the love of God as we do this we also stand in the gap for our own nation. It is a privilege to be called to do so and there is no better time to stand with Israel as the pressure is mounting against her daily with surrounding Muslim countries seeking her destruction. Thank you for standing with Israel in her time of need! It may not be famine there in the natural BUT certainly is so in the spiritual. Together we can make the difference, and truly believe that God rewards faithfulness. This can be done SECURELY through PAYPAL by clicking on the "Make a Donation" Link above or by visiting our Donations page where you will find the list of ministries where you can be a blessing to. Thank you for your love and support for God's chosen people (Ruth 2:12).